Tabouleh is a Lebanese dish that is sometimes classed as a salad, and goes by a variation of spellings – tabouleh, tabbouleh, tabouli, tabbouli (….and my spellchecker has rejected all these options). 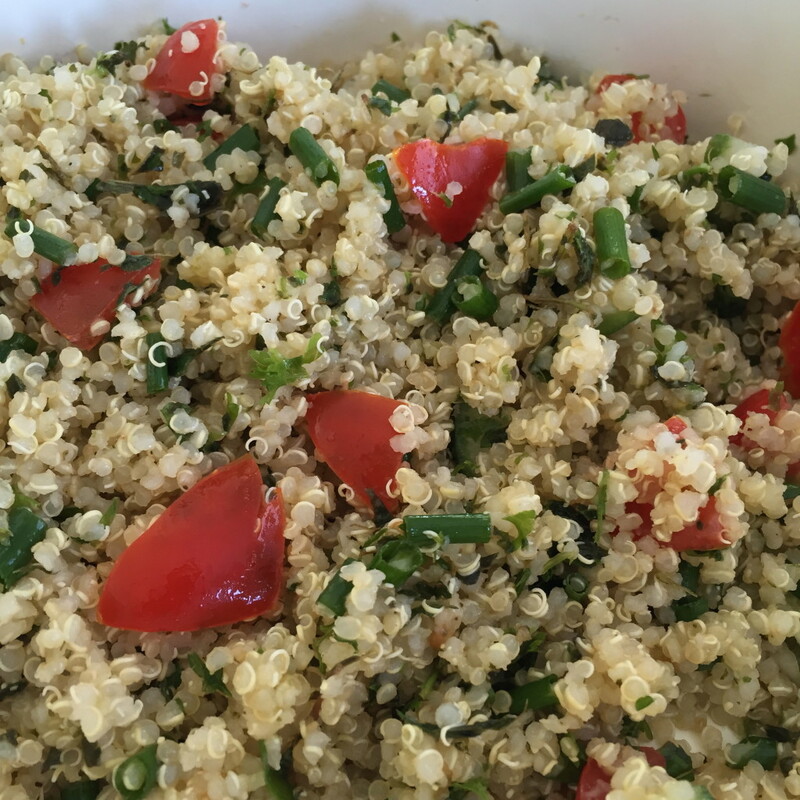 This dish is traditionally made with bulgur wheat, but you can use couscous too, and as I have discovered for the following recipe, quinoa works wonderfully well. You could also add red onion or shallots into this recipe, instead of /or as well as the chives, and you don’t have to be too pedantic about the amounts for the herbs, just make sure the ingredients are chopped finely. Rinse the quinoa, then place in a pot with the water and boil for 15-20 minutes. Turn off the heat and leave it in the pot to soak up the remaining water. Chop herbs finely, and cut cherry tomatoes into quarters. Chop cucumber into cubes. When the quinoa is cold, combine all ingredients. Season with pepper and salt to taste (there may be enough salt from the stock cube), and lastly, pour olive oil over the dish liberally. Wine Choice: A light sparkling wine accompanies tabouleh perfectly, and my favourite of the moment is Peter Yealands Sparkling Sauvignon Blanc, from Marlborough, New Zealand.